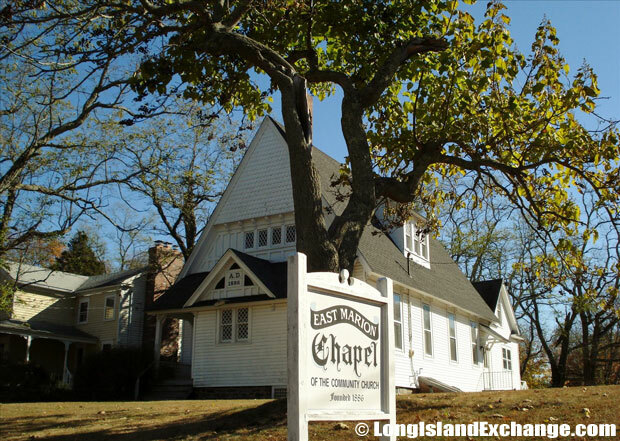 East Marion is a hamlet located in Suffolk County, Long Island New York. 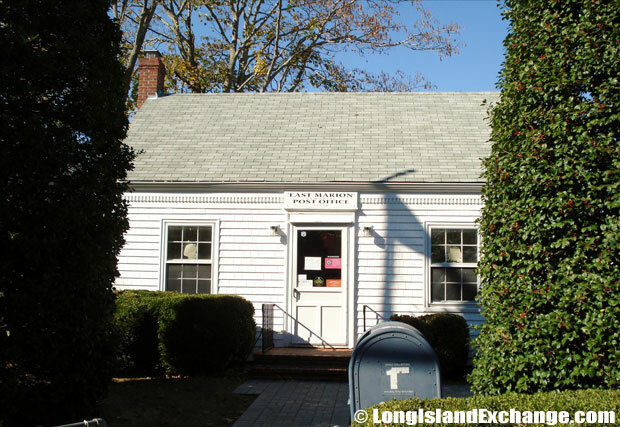 It is in the Town of Southold. 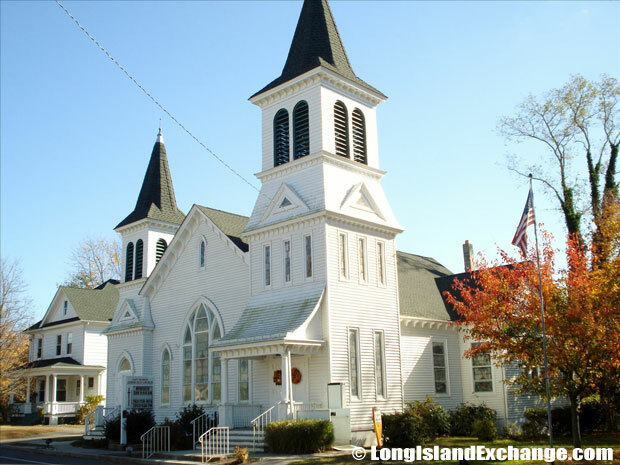 It is located just about an hour from Manhattan and a ferry ride from New England. As of 2010 census, there were 926 people, 409 households, and 272 families residing in the area. The median income for a household in the community was $73,984, and the median income for a family was $79,306. The latitude of East Marion is 41.127N. The longitude is -72.34W. It is in the Eastern Standard time zone. Elevation is 33 feet. The Blue Inn at North Fork, or also known as the East Marion Blue Inn offers spacious rooms nestled in the heart of East Marion on Long Island’s North Fork. The community was named after Revolutionary War General Francis Marion. It was founded in 1646 and was formerly known as Oyster Pond Upper Neck and later Rocky Point. 16% of East Marion residents report German and Irish ancestry and only 12% of residents report as English. There are many shopping stores in the area and one of them is Angels general store where you can get the basics and produce at Sep’s Farm Stand. 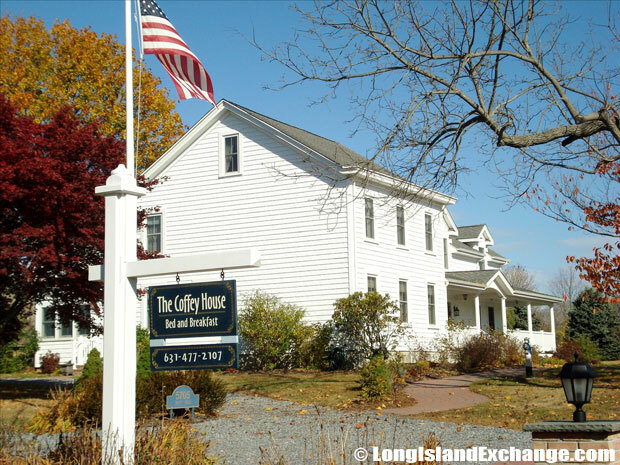 East Marion Coffey House Bed and Breakfast offers a tranquil, romantic and restful retreat on the beautiful North Fork of Long Island. 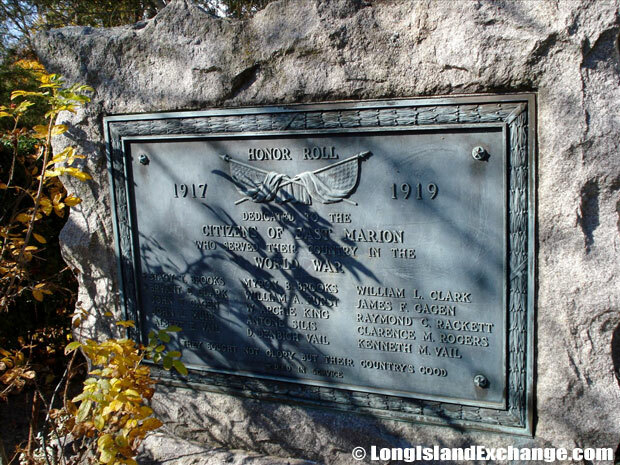 The honor roll monument commemorates East Marion veterans of the World War from 1917-1919. 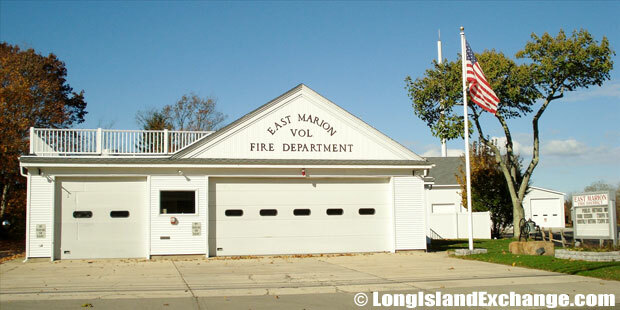 The East Marion Fire Department, founded in 1899, has 40 volunteers who respond to roughly 100 calls per year. The Arbor View House Bed and Breakfast is a popular attraction in East Marion. It is is a romantic, restored Victorian B&B with spa service that combines comfort and elegance completely. The house was built early in the 19th century (circa 1820) and was originally in the Federal style. It is also considered to be a fine example of Victorian architecture. It has been lovingly restored and renovated, preserving its artifacts and replacing any that may have been removed. East Marion Lake looking through the grasslands out towards the private marinas. 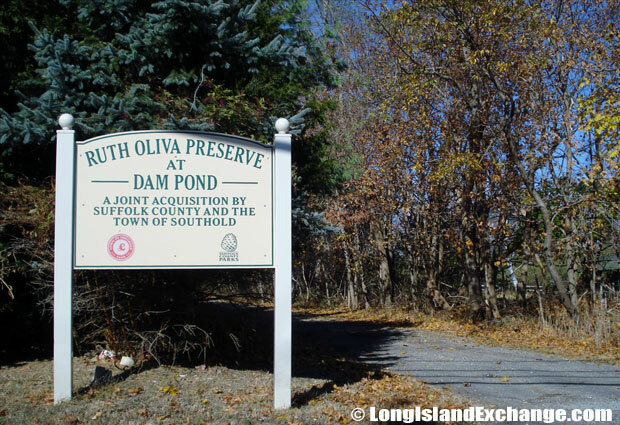 Ruth Oliva Preserve at Dam Pond, East Marion. Sightseeing along the Long Island Intracoastal Waterway near East Marion and Orient Harbor. Engrossed in a rich history and culture, but still modern and happening, East Marion is a favorite among second-home buyers and investors. It offers some of the most desirable properties on the East Coast. The Belvedere Park Historic District is considered one of the most popular attractions in the area and one of Shelby’s earliest suburban neighborhoods developed east of town from 1921 through the 1950s. It was also the most successful neighborhood in Shelby to follow the new suburban ideas of the City Beautiful Movement. 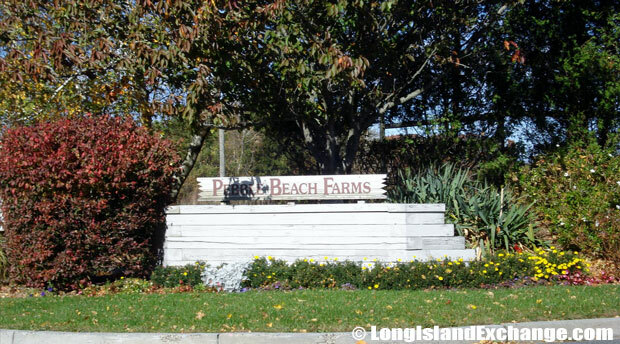 Pebble Beach Farms, a private community in East Marion, the Town of Southold, with farms and residences. The subdivision is immediately adjacent to a privately owned 18 hole golf coarse to its west. Many suburban neighborhoods are developed across the country with small parks, large lots, tree-lined medians and a curvilinear street pattern which follows the natural topography of East Marion. These types of neighborhoods are common in towns throughout the southeast, and the Nation, as growing populations required development of neighborhoods beyond the central city core, and new modes of transportation enable for people to live further out. Residents within Belvedere Park and along East Marion Street include small business owners, employees, mechanics, mill owners, clergy, theater owners, physicians, attorneys, bankers and government workers.